Shruthi Haasan has done it once again. 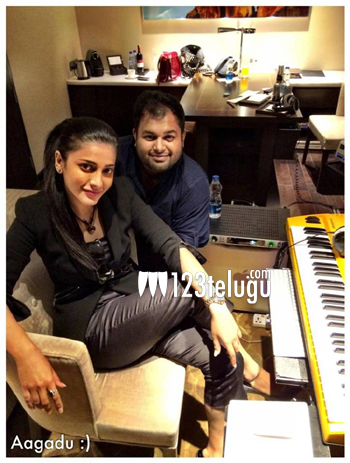 This talented actress has sung a special song in Mahesh Babu’s Aagadu, and this was the second time that she has sung for music director Thaman. This news was posted by Thaman himself on his twitter page, and shooting of this song will kick start tomorrow in Hyderabad. Shruthi Haasan’s special song is set to be a highlight of this film. Sreenu Vytla is directing this flick which is produced by 14 Reels. Tamanna is the heroine of this action entertainer.